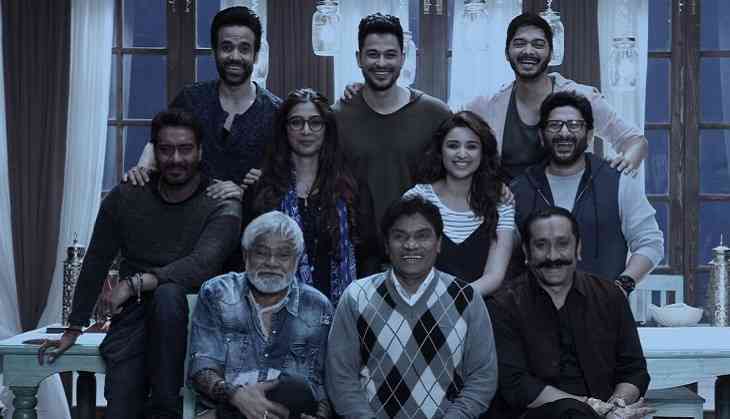 Parineeti Chopra, Ajay Devgn and the star-cast of Golmaal Again recently wrapped up the first schedule of Rohit Shetty’s comic caper at Yash Raj Studios in Mumbai. At the pre-release event of Meri Pyaari Bindu, when Chopra was asked to share her thoughts about working with Rohit Shetty in the comic franchise, she revealed that comic genre is a good change for her as an actor. “It is an honour for me to work with Rohit Shetty. He is the biggest commercial director of the country, making the biggest franchise of Bollywood i.e. Golmaal 4. I am enjoying it a lot and after Meri Pyaari Bindu, I think it will be a good change for me as well as the audience,” said Parineeti. The second schedule of Golmaal Again will soon begin at Hyderabad following which the team will fly to Goa for the final schedule. The movie will hit the big screen in the last quarter of 2017.